According to traditional Chinese medicine, this technique is used for balancing the flow of energy or life force (known as qi or chi-CHEE) of the body. It is believed that qi flows through pathways or meridians throughout the body. A blockage or imbalance in qi can occur due to multiple reasons such as physical and emotional trauma, stress, lack of exercise, seasonal changes, poor diet, etc. With the use of acupuncture, the imbalance can easily be righted and the body will return to a healthy state. If the disruption in the flow is excessive or prolonged, it can cause the body to be in a weakened state, cause illness, pain or disease can set it in. By inserting sharp, thin needles into the skin along specific meridians, qi is rebalanced, the flow of energy is restored and natural healing can occur once again. Acupuncture is a safe, painless and effective way to treat a variety of ailments such as migraines, influenza, anxiety, allergies, inflammation and back pain. It can also be used as adjunctive care for other conditions such as carpal tunnel, tennis elbow, stroke and rheumatoid arthritis. 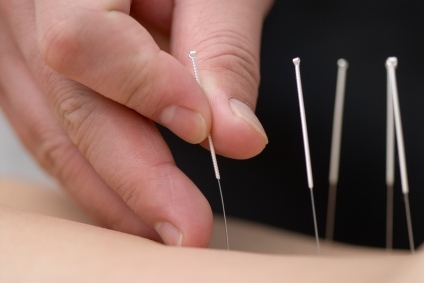 Acupuncture releases endorphins, which are natural painkilling hormones, so some patients may experience relief from musculoskeletal pain without the use of traditional medications. Acupuncture is also highly compatible with chiropractic care and can help speed up the pain management process. Both Dr. Osborne & Dr. Daniels are Certified Chiropractic Acupuncturists.